How To Determine Your Child’s Height? As you hold your baby in your arms for the first time, you’re probably going through a roller-coaster of emotions, and thinking about many questions. Who does he resemble, how will he look like, and how tall will my child grow, are common. If you find yourself dwelling on similar questions and are wondering how tall will my child be when he grows up, consider reading our post below! Here we talk about the vital factors that play a part in determining your child’s height. 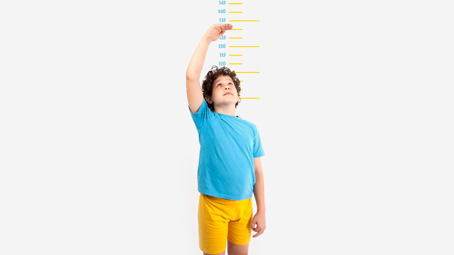 It is difficult to predict your child’s height accurately as your child will grow until the age of 15 to 16 years. There are several factors that affect the height, like genetics, nutrition, and overall health. The most accurate method for predicting height is diagnosing your child’s bone age. A specialized X-ray helps check bone age and gives you an idea of how tall your child will eventually be. But the final adult height of your child depends on his height and growth patterns, gene factors, chronic illnesses, and nutrition (1). Most obese children are often taller than their peers. On the other hand, malnourished children remain underweight and are shorter than expected for their age. Nutrition plays a vital role in influencing the growth pattern of your child. The intake of vital nutrients boosts the growth hormones and promotes healthy bone and muscle development. Hormonal imbalances including the low percentage of thyroid or growth hormone levels often lead to stunted growth in children. If the hormonal abnormalities get treated in said time frame, your child comes out of the restricted growth and attains a healthy height. Intake of some specific medication like the chronic use of corticosteroids or other asthma medication hampers your child’s growth processes. If your child suffers from some chronic illnesses, such as untreated celiac disease, severe arthritis or another form of cancer his growth remains restricted. When your child suffers from genetic abnormalities like Turner Syndrome, Down syndrome, or Noonan Syndrome, he tends to remain shorter than other family members. Some of the other factors that impact on your child’s growth pattern are exercise, sleeping habit, climate, diet, pollution and physiological factors (2). Your pediatrician maintains a growth chart, which enables in keeping tracking of your child’s growth rate. Every month, the doctor tracks your child’s height and keeps a strong note of all the physical changes. The doctor plots the height and age of your child on a growth chart and notices if your child suffers from stunted or delayed growth. Healthy children tend to follow a curve on the growth chart that is set by their genetic factors. For Boys- [(mother’s height + 5 inches) + father’s height] divided by two. For Girls- [(father’s height – 5 inches) + mother’s height] divided by two. Most children grow at a predictable rate, and they add approximately 14 inches over the first two years of their life. Later, the rate reduces up to 2 ½ inches, until they reach the age of puberty. During the phase of growth spurts, your child’s growth gets accelerated and touches the mark of 3 to 5 inches per year. The simplest way to predict your child’s adult height is by doubling the height of your boy whose age lies around two years. 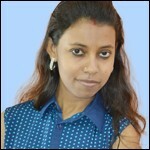 Girls tend to grow faster and thus; it is recommended to double your girl’s age at the age of 18 months. 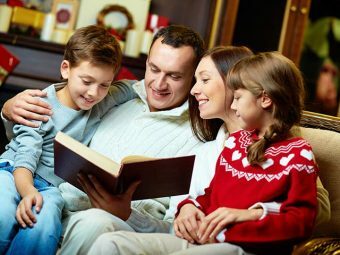 Another complex method to predict your child’s height is through the “mid-parental method.” To use the following method you have to determine the exact height of both the parents in inches and then add the two numbers and divide them by two. Add 2 ½ inches to the result obtained if you have child boy. Subtract 2 ½ inches if you have a girl. A complex yet accurate method to predict your child’s height involves numerous factors like weight, the age of your child and parents’ heights. The calculator follows the Khamis-Roche method. The two famous doctors Harry Khamis and Alex Roche developed the calculator for height prediction. The scientific invention measures your child’s leg length and predicts the rate of growth and eventual adult height. While all of the above methods may predict your child’s potential height, but it also depends upon the nutritional intake of your little one. If your child consumes a well-balanced diet, his growth rate remains normal, and he attains the predicted height until puberty. Undernourished children cannot grow properly and are not able to attain the predictable height. Children suffering from chronic diseases like arthritis and hypothyroidism tend to remain short in stature. Some of them also experience growth hormone abnormalities that results in stunted or delayed growth. Certain drugs impose harmful effects on the normal growth processes and restrict the growth after a certain age. Intake of corticosteroids hampers the growth rate of your child. Research concludes that babies conceived with the help of fertility drugs turn out to be shorter than normal ones. Medical science found that babies conceived through the scientific process of in vitro fertilization (IVF) are usually taller than normal ones (3). A growth spurt starts at different times for boys and girls and usually lasts for a short span. For girls, the growth spurts start around the age of 9 to 10 years. The peak time for maximum growth is around 11 to 12 for girls. For boys, the typical event occurs around the age of 11, and the peak phase is at 13 years. During the typical phase, your boy grows to about 4 inches each year and girls grow 3 inches per year. Most of the boys and girls stop growing at the end of puberty (4). Your child’s height mostly depends upon his genes and daily nutritional intake. Research concludes that your child’s health slows down after the first year of his life. Your child experiences many growth spurts at a specific time. By the tine your child reaches to adolescence, the growth rate elevates once again. Get your child to sleep early in the evening, so that he gets adequate rest. Research concludes that the growth hormones (HGH) function actively during the nighttime. A good sleep pattern improves the functioning of these growth hormones, and your child becomes tall. A child needs 10 to 12 hours sleep per night to grow properly. By following a proper sleep pattern, you can maintain a proper growth rate of your child. Feed your child plenty of protein like fish, eggs, milk and lean meat. If your child’s diet contains sufficient amount of protein, his growth rate remains healthy (5). Indulge your growing child in numerous physical activities like swimming, cycling, walking or outdoor sports. With regular exercising your child grows at a consistent rate and gets rid of obesity. Restrict your child from sitting in front of the television or video game, as these activities make him lethargic and inactive. A well-balanced diet helps in improving the living conditions of your growing child. Your child needs to acquire all the vital nutrients like protein, calcium, zinc, Vitamin D, and iron from his food. The intake of healthy proteins such as lean meat, fish, soy and dairy products promotes healthy bone development and muscle growth of your child. Your child needs to stay away from complex carbohydrates such as cakes, soda, pizza, and sweets. These foods can make him obese and hamper the growth rate. Intake of calcium through leafy and green vegetables promotes healthy bone development. To get sufficient amount of Zinc your child needs to intake oysters, lamb, crab, peanuts, pumpkin and wheat germ. Deficiency of Zinc often leads to stunted growth in boys. To get sufficient amount of Vitamin D make your child eat mushrooms or selective fishes. Vitamin D promotes healthy bone and muscle growth in children. Sunlight is the natural source of Vitamin D. You can ask your child to go outside during early morning or sunset. If your child practices bad posture like bending or drooping down, his spine bends abnormally, and it suppresses his normal height. By practicing healthy sitting and standing postures your child’s head and neck remain straight aligned without bending. It improves the height naturally. A good posture keeps the muscles relaxed and boosts the growth rate of your child. Water helps to flush out all the harmful toxins from your child’s body and maintains his metabolic rate. Deficiency of water slows down your child’s metabolism, and it deteriorates his growth rate as well. Even if your child intakes nutritious foods and follows a fitness regime, it is also essential to drink an adequate amount of water. Your child needs to avoid all types of growth-stunting factors to attain a healthy and desirable height. Intake of harmful drugs or smoking hampers the growth rate of your child. Restrict your teen from smoking or taking drugs during the growing years. Intake of caffeine disturbs the sleep patterns of your child and prevents the production of the growth hormones. Smoking or even second-hand smoke imposes negative impacts on the body mass index (BMI) of your child. Research concludes that addiction to smoking often results in stunted growth in teenagers. Intake of anabolic steroids inhibits bone growth of your child, and they cannot attain a healthy height. Some of other risks associated with intake of the steroids are decreasing breast size, lower sperm count, elevating blood pressure level, ad increase risk of cardiovascular diseases. Some of the childhood illnesses hamper the growth processes of your child. You can keep your child protected from such harmful diseases by regular immunization. Make your child’s immune system stronger by offering him the plentiful amount of fresh fruits, vegetables, and whole grains. Restrict your growing child from eating processed foods or oily food elements. Add a wide variety of healthy foods in your child menu to boost his immune system. Intake of a variety of fruits, plenty vegetables, whole grains, foods rich in antioxidants, omega-3 fatty acids and protein sources such as nuts and fishes helps in building a healthier immune system. Your child needs to follow a proper timetable and consider eating at a regular time intervals. It is better to eat in small proportion, but at smaller time gaps. Chicken is a dietary source of protein that promotes healthy bone and muscle development of your growing child. Intake of chicken helps in the process of building up tissues and muscles in your child’s body, and he easily attains desirable height. Make your child eat 100 grams of chicken daily in the form of soups, salad or fresh curry. Both egg white and egg yolk contain a high percentage of protein that is beneficial for your child’s growth. The egg is a dietary source of Vitamin D that helps in absorbing the calcium from the ingested foods and promotes healthy bone development. However, if your child is allergic to eggs prevent him from eating it. Milk contains a high proportion of protein and calcium that helps in healthy brain and physical development of your child. Protein help in building brain tissues and muscle, whereas calcium helps in bone development. So, it is advisable to add milk in your child’s daily food menu. Whole grains are an excellent source of dietary fibers, magnesium, iron, vitamins, and selenium. Grains are rich in calories and help in boosting your child’s height naturally. Some of the beneficial whole grains to boost your child’s height are brown rice, oatmeal, and whole grain pasta. Yogurt is one the top foods that help in boosting your child’s height naturally. Yogurt is rich in protein and minerals that promote healthy bone and muscle development of your child. You can use yogurt to make numerous delicious dishes that your child would simply love to eat. Among all the different sources of protein, soya contains the highest amount of protein, which helps in healthy bone and tissue development. Your child needs to intake about 50 grams of soya per day to gain height naturally. Different types of seeds and nuts like peanuts, flax seeds, pumpkin seeds and almond contain a high percentage of healthy fats, vitamins, minerals and amino acids. The vital elements present in nuts helps in repairing the body tissues and promotes a healthy height. It is a natural herb that helps in boosting height in growing children. The herb contains a wide range of minerals that improve bone density. The natural herb can enhance HCG (Human Growth Hormone) and promotes a healthy height in children. Fresh fruits and vegetables play a major role in boosting your child’s growth and development naturally. These food elements contain a high percentage of fiber, folates, vitamins and potassium that helps in the development of your child’s bones and tissues. Citrus-rich fruits containing Vitamin C help your child overcome growth or hormonal issues. Some of the best fruits and vegetables to boost your child’s growth processes are spinach, broccoli, carrot, papaya, apple, watermelon, mango and apricots (6). Stretching is an effective exercising posture that helps in boosting your child’s height. Make your child start with simple stretching exercises with his hands and legs. Make him stand against a wall and ask him to raise his hands upwards and to stretch them as far as possible. He can also practice the stretching posture with his legs by stretching the leg muscles. Toe-touching exercises are also beneficial to stretch and elongate your child’s spine and improve his posture. Some specific yoga asanas, especially the Surya Namaskar and the Adho Mukha Syanasana helps in stretching your child’s body and helps him gain the desirable height. Make your child do basic breathing exercises before practicing any of the yoga postures. Your child needs to lie down on his back, lift his hips and stretch both the legs backward. Your child should hold the posture for few seconds and continue deep breathing for as long as possible. The effective yoga posture Chakrasana stretches your child’s entire body and makes him grow tall. Hanging from bars is an effective exercising technique that helps your child gain desirable adult height. The playful exercise helps in straightening your child’s spine and elongates the vertebrates. Encourage your child to hang on bars in garden or practice simple pull-ups. You can also install a hanging bar in your house and make your child hang on the bar for 8-10 minutes daily. Playing basketball is a great way to boost your child’s height and make him grow healthier and stronger. The game involves lots of jumping and stretching of hands and legs. As your child tries to reach the high-hung basket, his entire body stretches, which helps in his spine elongation. Encourage your growing child to play the basketball game for at least forty-five minutes to an hour. Your child can enjoy the fun sport with other friends and achieve maximum growth height. Swimming is a spine stretching exercise that helps your child become taller.By practicing the strokes; it stretches your child’s entire body. The breaststroke is considered amongst the most beneficial exercise to increase your child’s height naturally. Children who swim a lot during their growing years grow taller than the nonswimmers. Swimming stretches the muscles of your child’s body and promotes the release of the growth hormone. However, if your child needs to attain a desirable height he needs to swim on a regular basis to achieve expected results (7). To boost your child’s growth rate make him intake a well-balanced diet, practice healthy exercise and get an adequate amount of rest on a daily basis. 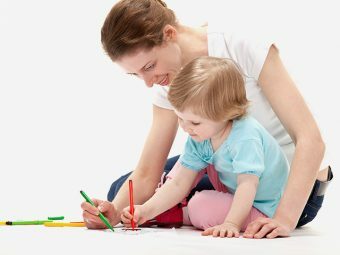 For determination of child’s adult age, you can either consult the pediatrician or use the unique calculation method as mentioned in the article. Make your growing child drink the plentiful amount of water to stay hydrated and promoted healthy bone development. Lack of water leads to dehydration, slower metabolic rate and lack of energy. Make sure your child intake enough nutrition to attain the desirable height at maturity. Undernourished child not acquiring the daily nutritional intake suffers from stunted growth. Always boost your child’s confidence level if he feels complex of his shorter height. Height is mainly dependent on the genetic factors and partially dependent on the environmental factors. Make your child understand the things, so that he remains happy with his physical appearance. Were you able to predict your child’s height? Which methods did you use? Were the methods accurate? Share your experience with other mommies here. Comment in the box below! How Does The Environment Influence A Child’s Growth And Development?